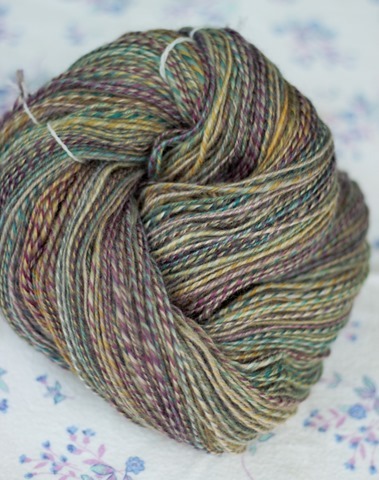 What makes spincycle yarns so cool? 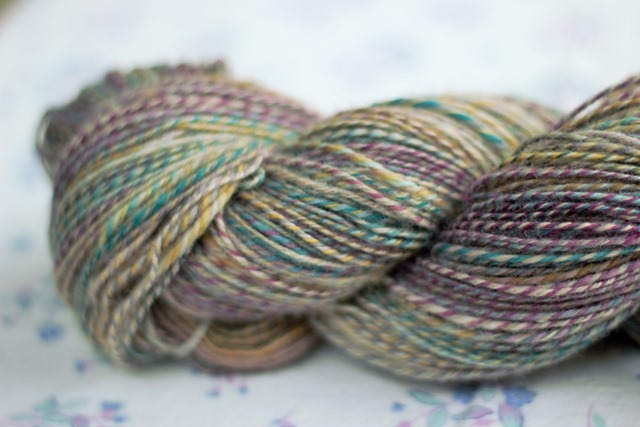 They specialize in mill-spun yarns so they have the appearance of handspun! And the best part? They sell mill ends for spinners to play with! 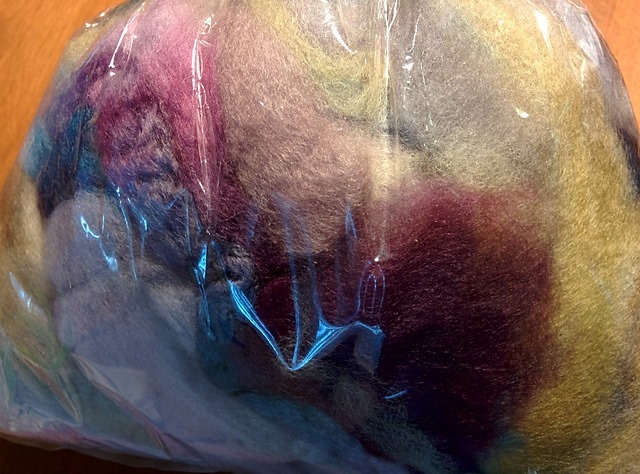 I’m actually not completely sure what fibre this is although if I were to hazard a guess, I think it’s superwash BFL. 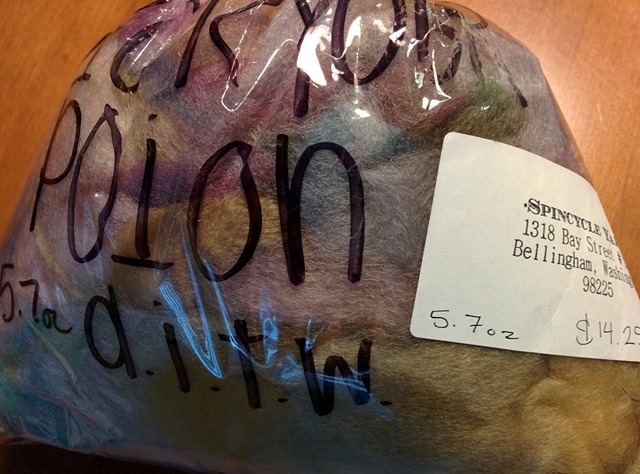 It drafted as a superwash but had a longer staple length than merino. There were definitely mill ends in the bag! 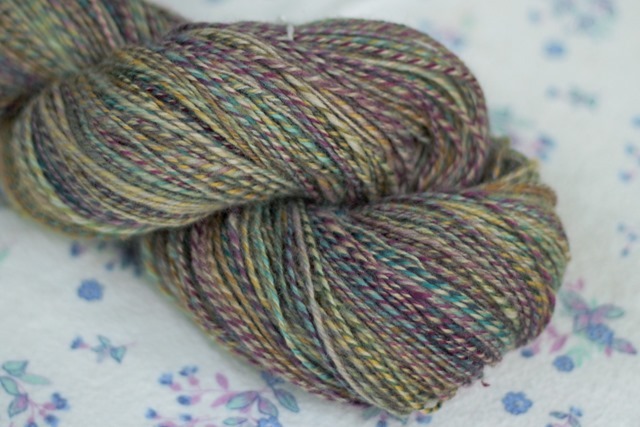 I spun randomly since the bag contained just odds and ends of fibre. It was great fun! 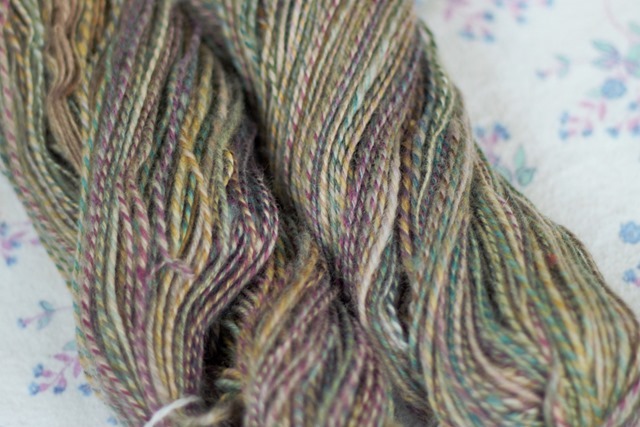 I divided the 5.7oz bag into 3 equal smaller bags and just spun until I had 3 full bobbins. 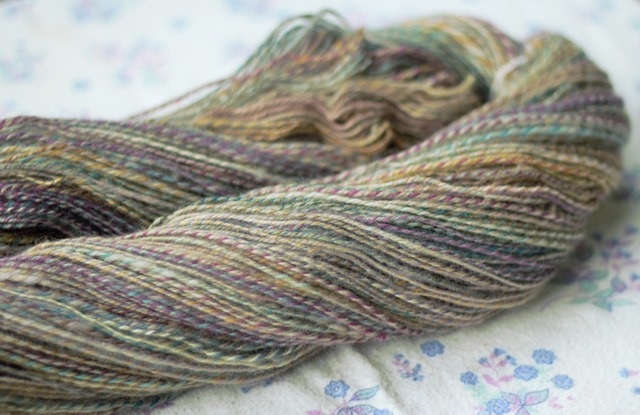 The interesting part of this spin for me was that the fibre was cheap to begin with and it was difficult to plan anything since the mill ends were so hodge-podge so I never felt too invested in the finished product. I was happy to just let it become what it was to become which is very liberating! I used the smallest whorl I have and a short forward draw (worsted drafting). 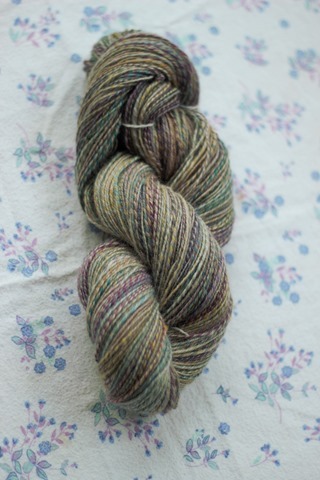 There is a moderate to high amount of twist in both the singles and plying. In other news, my mother-in-law is staying with us right now and we’ve been having a lot of fun. This morning we decided to carve the pumpkins we had bought while at the pumpkin patch last weekend. 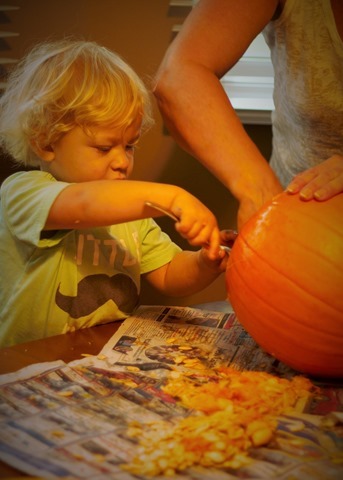 Here is J carving out the pumpkin guts of his very first pumpkin!